This magnificent racing chronograph was presented at Basel world 2008 to commemorate 30 years of Williams F1 Oris, as watch partner of the Formula One team. 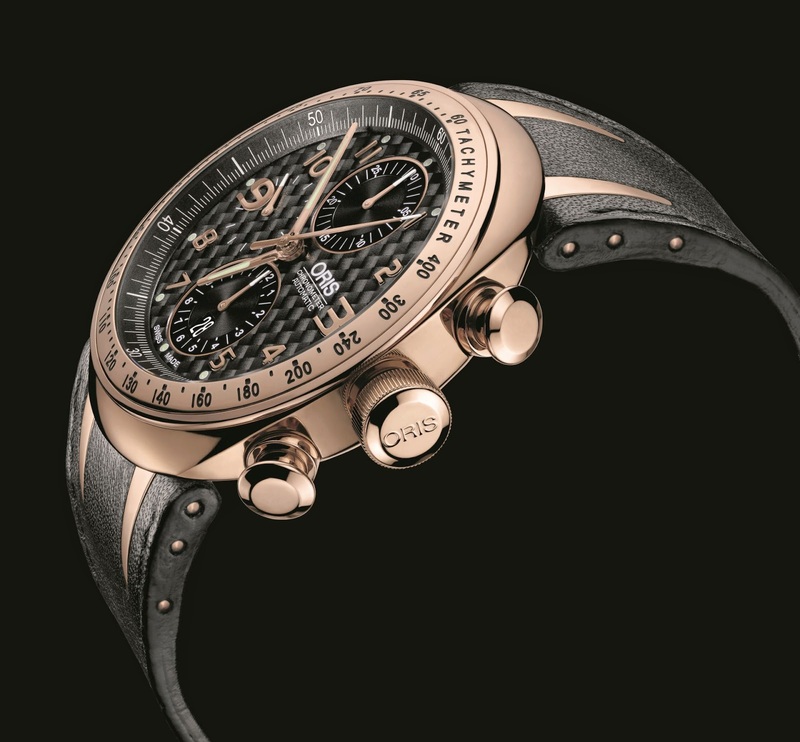 This jubilee edition timepiece in the multi-part rose gold case represents Frank Williams’s successful team in design, material, and function. 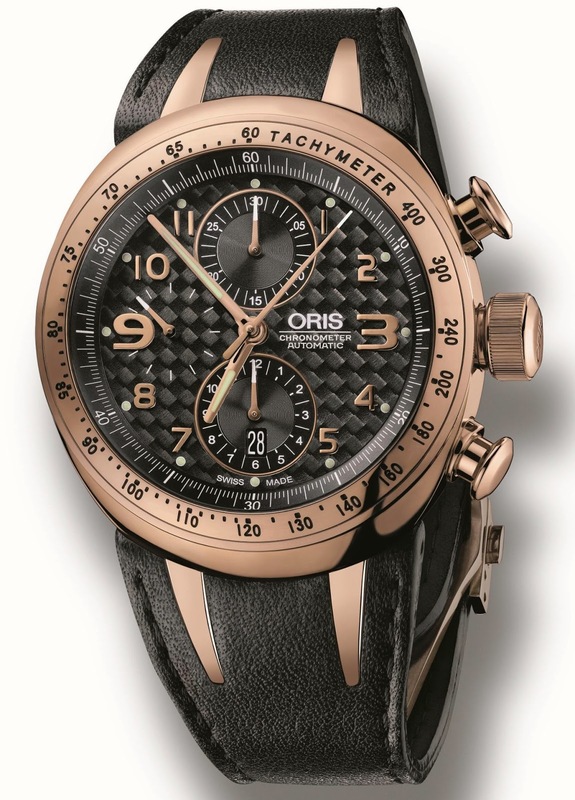 Form follows Formula One: the tachymeter as solid gold bezel for measuring speed is worth its weight in gold; the stop and go functions on the black carbon dial is in the style of the premier league of motorsport. The crown is specially secured through the Quick Lock System and the dynamic flexible lugs are integrated into the gaucho leather strap. 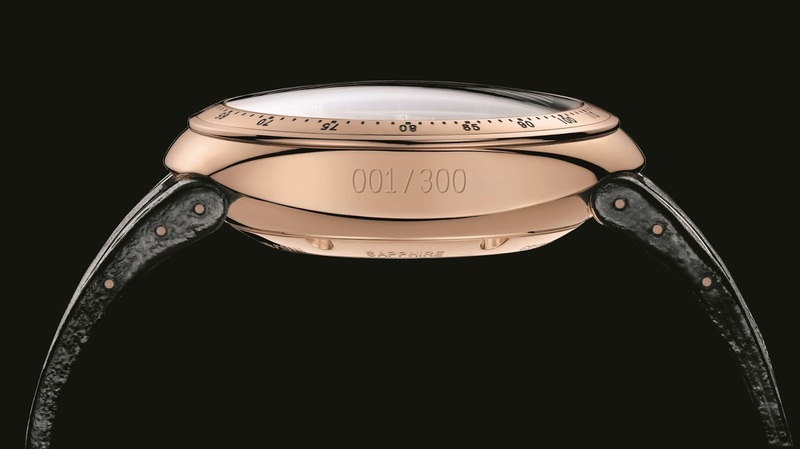 Precision is guaranteed as the mechanical watch movement is certified as a chronometer. 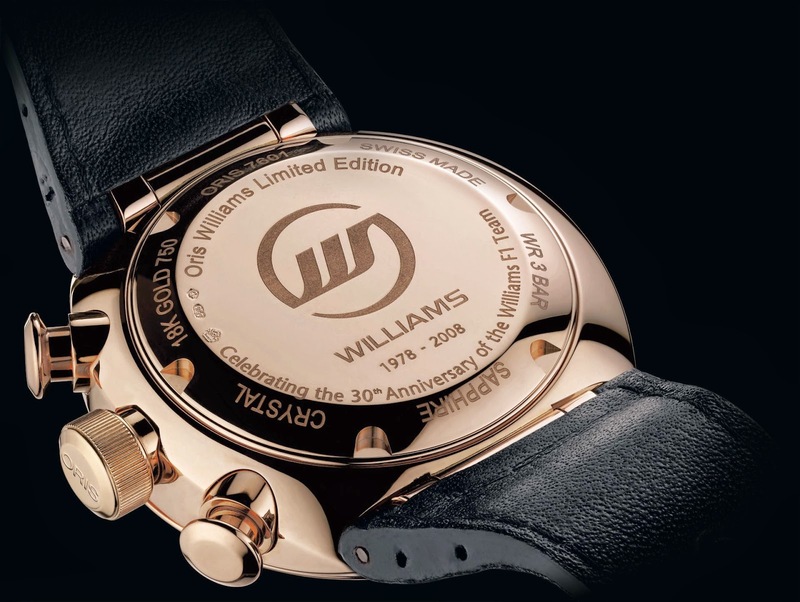 The edition is limited to 300 watches, all individually numbered and marked with the Williams logo and jubilee engraving on the case back.